Presidential candidate Teddy Roosevelt displayed his flamboyant campaign style in a 1912 swing through Hartford. Roosevelt’s candidacy took votes away from state GOP candidates, and Democrats briefly regained control of the Senate and had their highest representation in the House in over a decade. 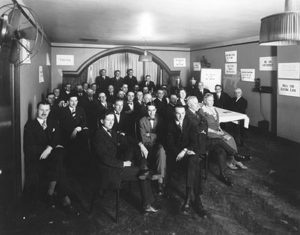 The election of 1912 marked the arrival of the Irish in the highest circles of the Connecticut Democratic Party. Democratic Congressional candidates Thomas Reilly, Bryan Mahan, Jeremiah Donovan, William Kennedy and Augustine Lonergan all went on to Washington. 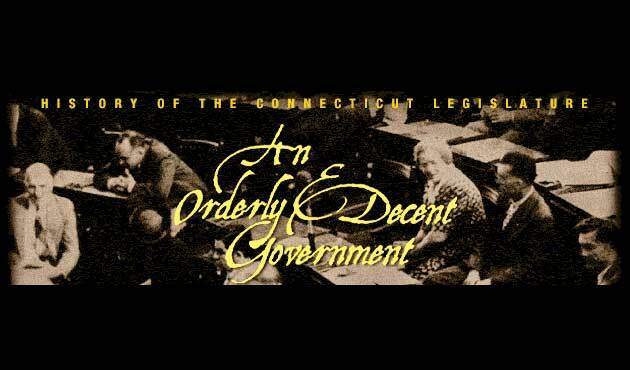 War in Europe greatly stimulated the Connecticut economy as contracts from the European combatants flooded into the state’s brass industry and arms makers. American entry in the war in April 1917 brought bond drives, conservation campaigns, and widespread fears of immigrant disloyalty. Deeply alarmed, the legislature cast aside fiscal restraint and authorized the mobilization of a 5,000-man “Home Guard” equipped with riot weapons to maintain order. The 1920s saw the businessman as a civic and cultural hero. The classic business virtues of efficiency and cost effectiveness provided the basic credo of government at both the state and local levels. 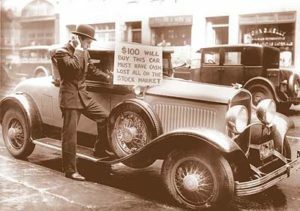 The stock market crash of 1929 signaled the onset of the Great Depression and the end of the Roraback Era.